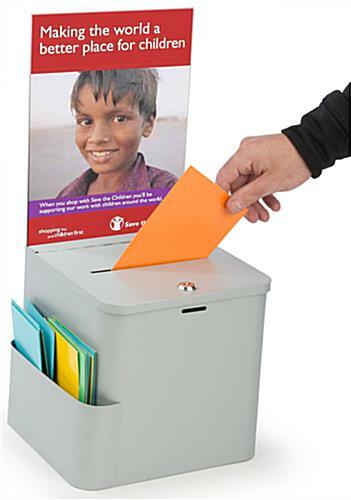 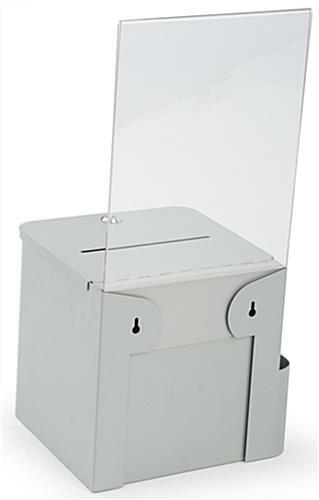 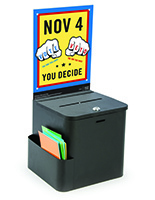 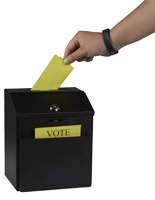 This donation box includes everything you need to run a successful campaign or fund drive. 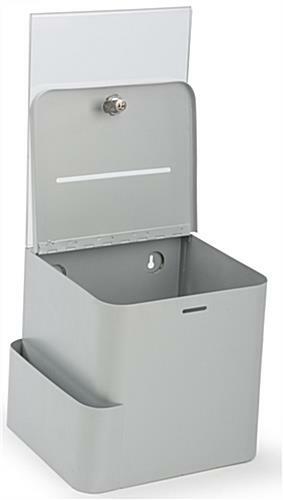 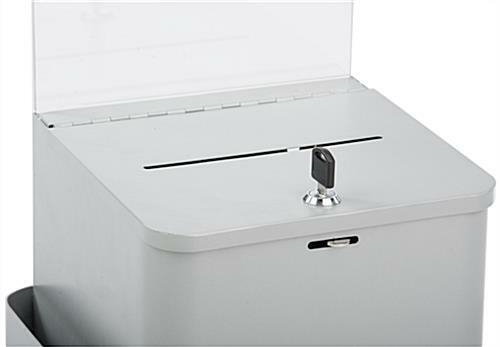 Made with metal for extra durability, the container also features a locking lid for added security. 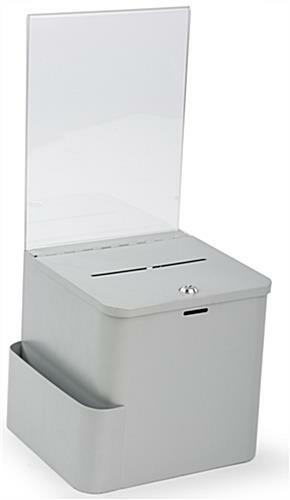 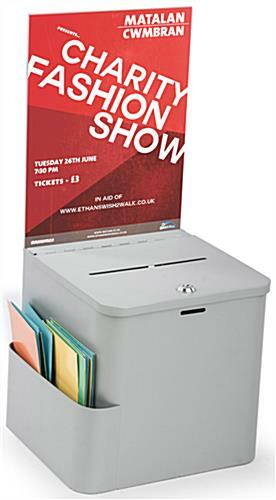 Place the donation box on tables or mount to any wall. 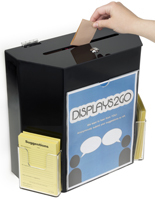 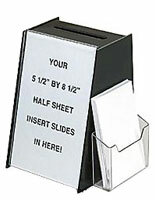 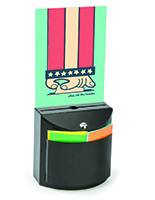 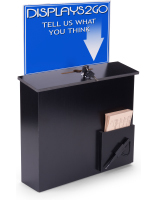 Use the 8-1/2" x 11" sign holder to advertise your event or for simply explaining what to do. 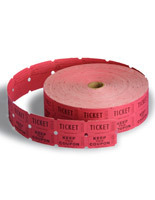 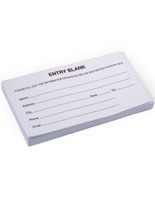 The side pocket holds entry forms or suggestion sheets.